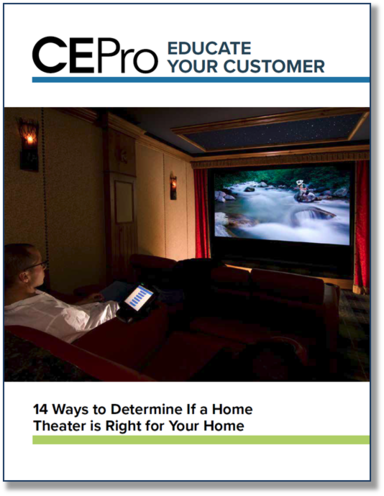 If your customers have been debating whether or not to make the investment in a home theater, here's a free guide to help. A home theater means different things to different people. Some envision it as a dark, secluded room where a huge screen eats up most of the real estate and people sit in authentic cinema-style chairs. 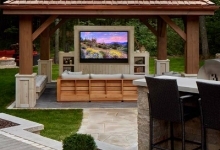 Others see it as a casual entertainment area where the display blends in with the room environment and presents sporting events and sitcoms, as well as blockbuster movies.